Crochet cowl patterns are perfect for any time of year. 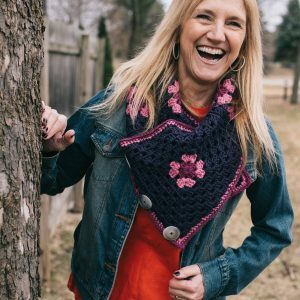 Explore lightweight and bulky patterns in this selection of projects and see how easy it is to accessorize your look and stay warm no matter the season! 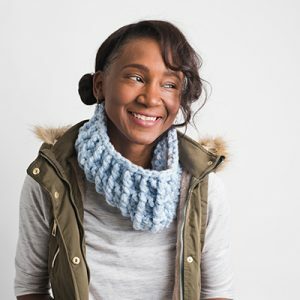 Crochet cowls are such a versatile accessory, and they’re so easy to make in a variety of styles. 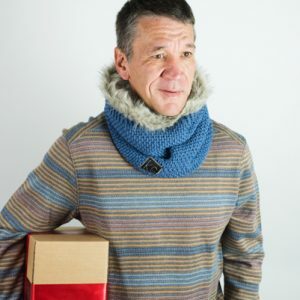 Try making lacier cowls to accessorize your summertime look, and then switch things up with a super bulky cowl to layer underneat your parka for effortless winter style that keeps the cold out. These crochet patterns are easy to make for any skill level – use simple, beginner stitches if you’re just started out, or work some cables and advanced stitches in if you’re a seasoned pro. 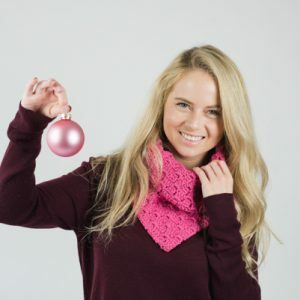 No matter the style, crochet cowls are always a hit – and they make for the best holiday gifts, too! Chunky yarn is an excellent choice for making cowls. With a combination of front post and back post crochet stitches, this cowl ends up being extra cozy and warm. 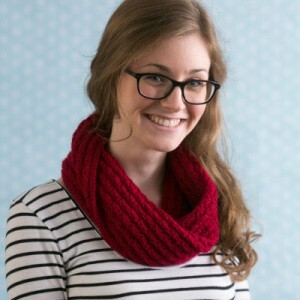 Sport weight angora yarn gives this versatile cowl a light and cozy feel. Wear as a cowl with your favorite light jacket or as a small poncho to cover your shoulders on a breezy day. Leaf-like stitches make this the perfect accessory for the first days of fall. This cowl features large and small granny squares joined together to make a button-front cowl. 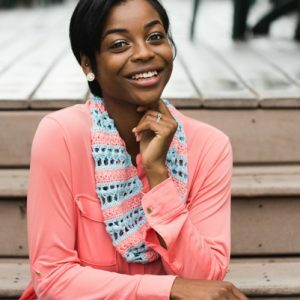 Paired with a jean jacket, this cowl will keep your neck warm and your outfit on point! Crochet a filet cowl featuring chandelier shells in a stunning blue. 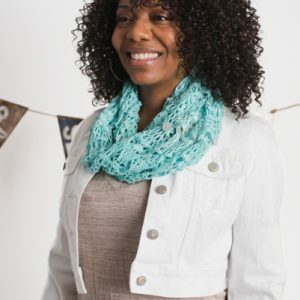 Complete with button closures, this cowl can be looped twice for a tighter fit or draped to show off the lace design. Two unique stitches make up this lightweight cowl – the star stitch and sideways puff stitch. This Lotus yarn shows the detail of each stitch well and gives the cowl great drape.